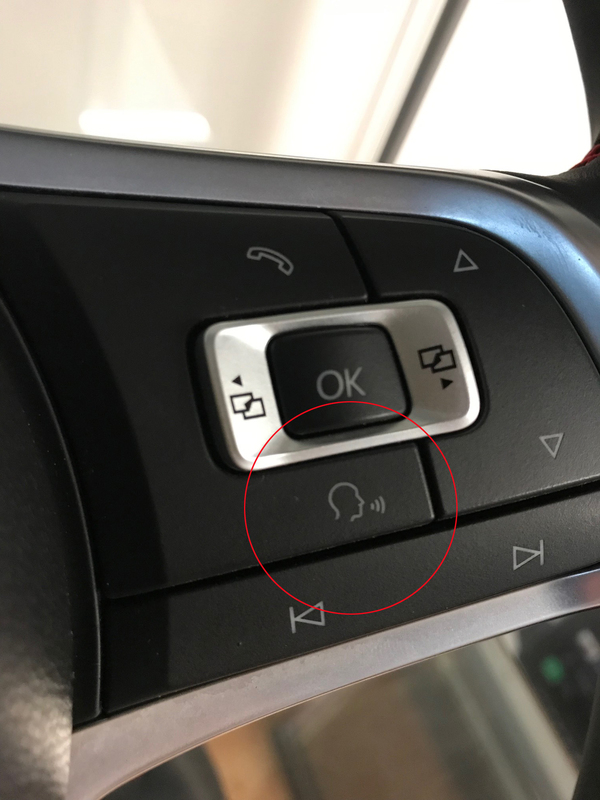 Voice Connect enables the driver to control their phone and radio using voice commands. Once activated, a red microphone indicates the driver that a command is being received. The commands available for the context are displayed on the screen. The text fields for the topics that the driver can select are highlighted in red. This upgrade is only available for Discovery Navigation.